I solemnly swear that this is (probably) the last Black Friday/Cyber Monday post we’re going to write this year. We’ve potentially been guilty of overdoing it, but then when the whole ecommerce world goes mad for a sales event it’s hard to avoid getting swept up in the hoopla. So far we’ve covered pre-Black Friday predictions, Black Friday email marketing, Black Friday site crashes and several other Black Friday angles. You will have noticed that UK retailers bought into Black Friday in a big way this year. 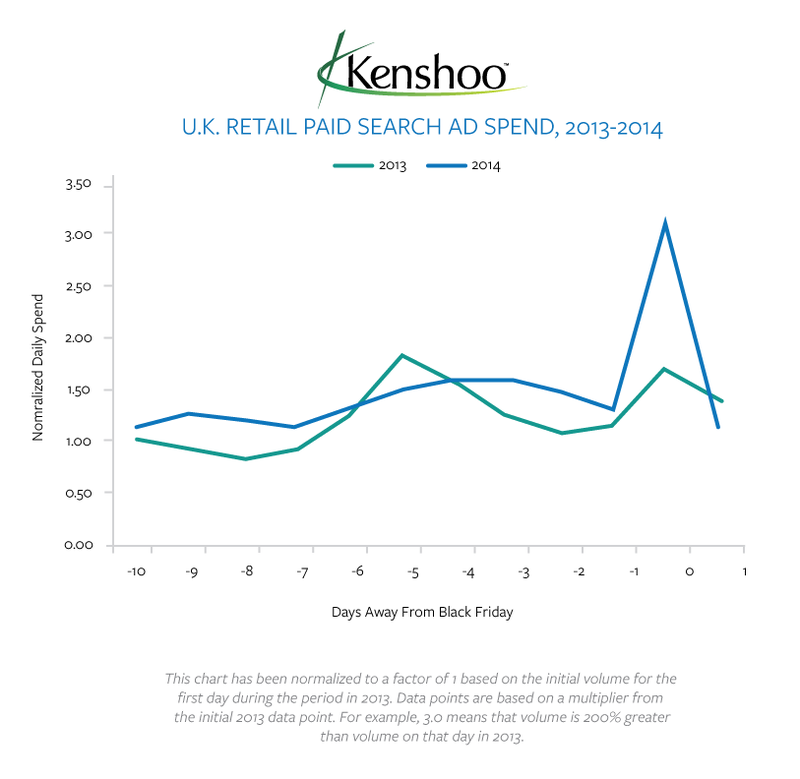 This is reflected in paid search spend which increased by 88% year-on-year, according to data from Kenshoo. In 2013 overall UK retail search spend increased 44% from Thursday to Black Friday but this year that increase jumped to 145%. In the US Cyber Monday online sales grew 15% compared to 2013, making it the biggest day in US online shopping history. For the holiday weekend (Thanksgiving through Cyber Monday), ecommerce revenue is up 15.4% over the same weekend in 2013. Mobile commerce accounted for over a fifth (21.9%) of online shopping on Cyber Monday 2014, up 15.9% year-on-year. Apple devices still dominate m-commerce but Android devices are stealing share. On Cyber Monday, 78% of mobile shopping happened on iOS, but that’s down 84.1% year-on-year. Android’s share was 21.6% on Cyber Monday, up 15.4% year-on-year. Finally, email marketing apparently drove the most sales over the weekend and accounted for more than a fifth (23.9%) of sales on Cyber Monday. The data is taken from The Custora E-Commerce Pulse which tracks real-time ecommerce transaction data from over 100 US retailers, over 100m online shoppers, and over $40bn in ecommerce revenue. After whipping the British public up into a frenzy several UK retailers then failed to properly prepare their sites for the crazy rush of traffic. 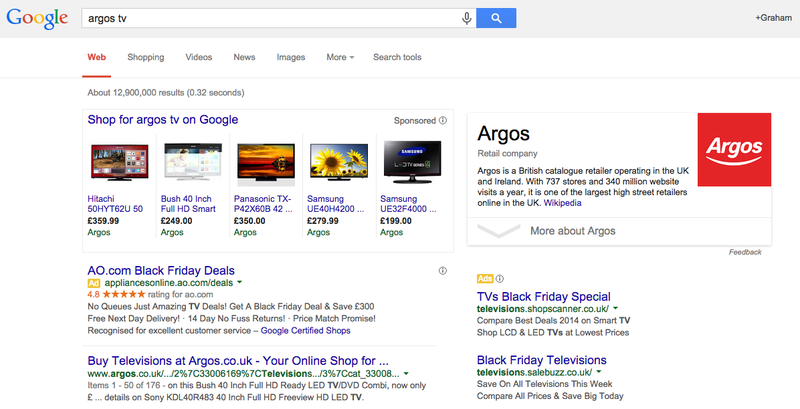 Argos and John Lewis both went offline for periods on Black Friday, allowing appliances retailer ao.com to place some tactical PPC ads to grab shoppers searching for its rivals’ brand terms. A 43% increase in paid search CTR. A 250% increase in clicks on PPC ads. ChannelAdvisor has been tracking the increase in sales across some of the world’s biggest online marketplaces. Over the course of the whole Cyber Weekend extravaganza it would appear that Amazon was the biggest winner. Google Shopping: up 2.97% YoY. Paid search: up 60.56% YoY. Google Shopping: up 8.73% YoY. Paid search: up 40.32% YoY. Google Shopping: up 57.98% YoY. Paid search: down 5.88% YoY. Data from Adobe shows that total US online sales on Cyber Monday came in at $2.65bn, up 16% compared to 2013. The top 25 retailers, who each generated $30m or more on Cyber Monday, saw online sales increase by 25% capturing nearly $1.8bn. Smaller retailers, those generating $2m or less, grew by 5%. Between Thanksgiving Day and Cyber Monday total online sales came in at $9.6bn, a 20% growth year-on-year. 19% of total online sales ($328m) were driven by mobile devices, the same as in 2013. 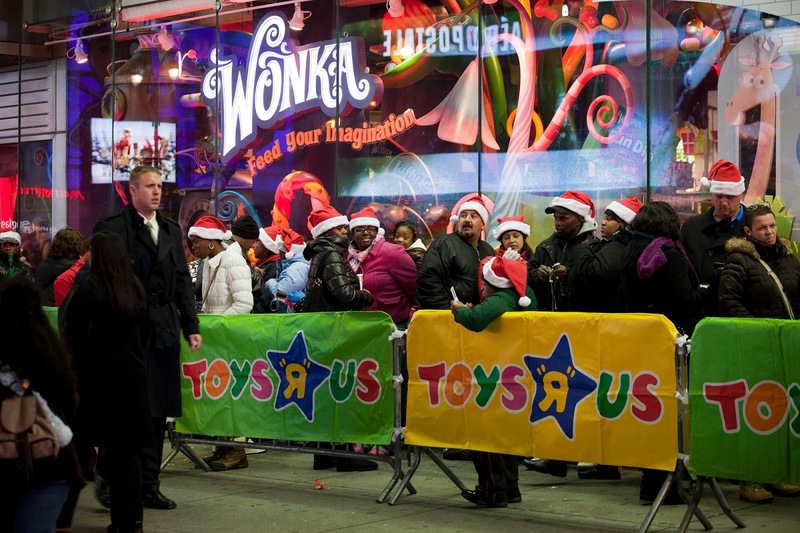 Data published by G/O Digital shows that Toys R Us, BrandsMart, IKEA, CVS, and Lowe’s saw the biggest traffic increases on Black Friday 2014. The data is based on year-over-year analysis of online holiday promotions across more than 40 retailers, 2,500 brands and 50,000 stores in the US. It found there was a 5% increase in visits on leading retailers’ websites over last year for November, 34% for Thanksgiving Day and 23% for Black Friday morning. Online traffic was up by 60% year-on-year according to data from Experian and IMRG. There were 180m online visits to UK retail sites with an estimated spend of £810m. Shoppers in the UK spent an estimated £720m on Cyber Monday. This shows a slight slowing in pace compared to Black Friday, however the 161m visits to online retail sites still exceeded predictions with a 40% rise compared to 2013. Cyber Monday more popular than Black Friday? Data from Monetate shows that the number of visitors to online retailers went up by 11.8% on Cyber Money 2014 compared to 2013, while total page-views rose by 38.1%. Conversion rates rose 5.3% compared to 2013, average revenue per session rose 7% in from 2013, while average order value on transactions was down by 1.9%. Traffic from smartphones has gone up by 57% from 2013, the year-over-year revenue has increased by 18.7%. But conversion rates on smartphones have dipped from 2013, down by 6.1%. Monetate’s stats also compare data from the US vs. the UK. It found that the US saw a year-on-year traffic increase of 11.8% compared to 20.8% in the UK. In the US conversion rates were up by 8.3% from last year compared to 7% in the UK, while pageviews were up 38.1% and 39.8% respectively. Amazon was one of the big winners on Black Friday as it attracted around 173m visits, an 83% increase on the same period last year. You can read all about Amazon’s Black Friday promotion’s here, or you can view Black Friday traffic stats for all major UK retailers here (data taken from Hitwise). Some insight in to #blackfriday traffic split: D 35%, M 46%, T 19%. Friday mobile normally 43%, tablet 22%. Mobile is vital on sale days. We like agile marketing here at Econsultancy. It’s a sign that an organisation has the right setup, as it can react quickly and take advantage of situations. It’s also often very clever and / or amusing. Here’s another example from Black Friday. Seeing that rivals’ sites were suffering under unexpected levels of traffic, AO.com saw an opportunity. It’s nearly Black Friday, and you know what that means… it’s time to start queuing outside Asda at 3am to get a bit of money off a pair of headphones. Or not, depending on whether you think UK shoppers should really care about a sales event that coincides with an American public holiday that means nothing on these shores. Either way you can’t deny that interest in Black Friday is slowly growing in the UK, mainly because retailers are keen to come up with a new reason for us to go and buy a load of electrical goods. How do product recommendations influence buyer behavior? From the original matching algorithms to show similar products to the sophisticated machine learning technology that now harnesses user behavior insights, the world of recommendations has changed immensely. Over the years, online shoppers have gotten more and more used to seeing and acting upon product recommendations.